Just imagine it: driving through the mountains, the fall foliage glowing with vibrant colors. Your friends clamor to be out of the car, or you family exclaims about the view through the windshield as you come to the top of a rise. You’re out for a fall hike, and you can’t wait to get started! Hiking is one of the best outdoor activities. Period. It’s one of the easiest ways to make memories and bond with family or friends. Hiking is something that can be done anytime of the year, and even if you visit the same place, in different seasons, it’s like a whole new world each visit. Now, a word to the wise. Use some common sense. Never go on a hike that you are not prepared for. Make sure you always have a way to get back. The following tips and hints are meant for a day hike only. Overnight hiking is a whole different topic, and should never be undertaken after reading a single blog post. Day hiking is fine, with the aforementioned common sense. Let’s get one thing straight right off. Board shorts and flip flops are not appropriate hiking attire. I don’t care how hip you are. Just don’t. The most important thing for a great hike is proper footwear. Wear shoes that are comfortable, shoes that are broken in and molded to your foot. They should also have decent grip and tread, as you will most likely encounter varied terrains on your hike. Slip-on shoes are not appropriate in most instances. Regarding clothing, wear comfortable clothes appropriate to the environment. For thick brush, wear pants. If it is likely to be hot, either wear or bring shorts. Account for any possible weather patterns, and realize that it is always better to be prepared and haul something you don’t end up needing, than need something and not have it. Yeah, even if it’s just a day hike, bring food. For one thing, you’ll be burning more calories than you are probably used to, so snacking is good. For another, there is nothing as relaxing as reaching the apex of your hike and sitting back to watch the clouds go by, chewing on some trail mix or chips. Be conscious of your trash and litter, though; a good rule is pack out everything that you brought into a wilderness or outdoor area, and that includes wrappers and other garbage. You will also want to bring water. Bring at least twice as much as you think you might need. One bottle is never enough. Never. Read my lips. Never. Bring more water. More. There you go. No matter how skilled you are, or how innocent the area you are going to be hiking in, you never know what might happen. Bring along at least a basic first aid kit, with some bandages, antibiotic ointment, compression wraps, and gauze. If you or anyone in your group is allergic or has known medical issues that might become problematic, bring appropriate identifications and medical necessities. A pocket knife is also a good idea. Pack an emergency blanket and a change of clothes. If you fall in the creek or fall down the hill, you will be glad you brought them. A map of the area is also a must. Don’t rely on Google, as signal can get spotty in the boondocks. There are more tips and tricks that you can locate pretty easily, if you really want to. 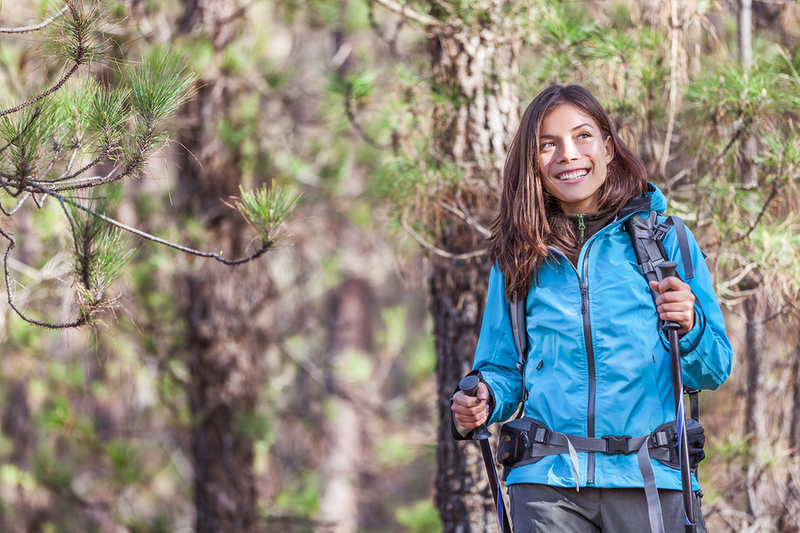 Don’t feel like you have to go all gung-ho and be super-hiker your first time out. Hiking should be about the journey; so enjoy the trail, and happy hiking this fall! And if you happen to crack a windshield on your way to the hike, give us a call!